Several developed and developing countries have adopted mandatory biofuel policies and set biofuels targets to enhance energy security and contribute to climate change mitigation and rural agricultural development. Mandates and incentives for blending biofuels with fossil fuels contribute significantly to the ongoing growth in biofuels production and use. Over the years, South Africa has also established several biofuels policies and mandates, such as the Biofuels Industrial Strategy (BIS) of South Africa, which aims to promote the production and use of biomass fuels, attract investment into rural agricultural development, and create additional employment. 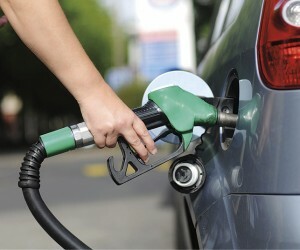 The biofuels industry is driven by the BIS, which was developed by the Department of Energy. The original document favoured sugar cane and sugar beet to produce bioethanol and sunflower, canola and soybeans for purpose of producing biodiesel. The draft Position Paper on the South African Biofuels Regulatory Framework, published in January 2014, recommended that, in view of the need to expedite the first phase of the implementation of the BIS, grain sorghum and soybeans should be the only feedstocks used for the manufacture of bioethanol and biodiesel respectively. In recent years, several African nations have gone ahead with the decision to produce biofuel crops to slash fuel import volumes and bills. 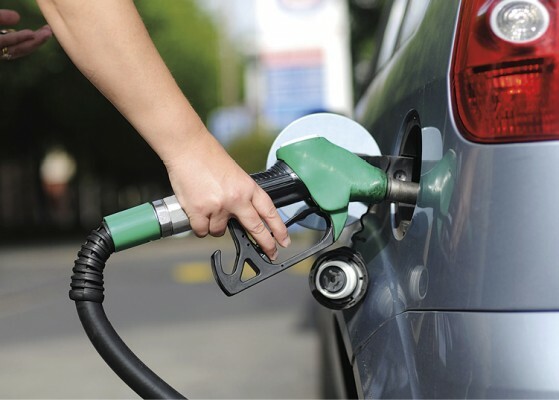 However, in South Africa, biofuels development has stalled in a legislative process and biofuel is yet to be commercially produced on a large scale. The challenges hindering biofuel development in South Africa may include security to economic and social concerns, such as the impacts on food security, commodity prices, biodiversity and environmental degradation due to land use changes. However, South Africa is looking to kickstart its biofuels industry as the government plans to finalise and approve its biofuels blending regulatory framework before the end of March 2019. It was recently reported that the government would introduce certainty about biofuels as a means to decrease greenhouse gas emissions. According to reports, the Department of Energy’s (DoE) Chief Director of Energy Planning, Thabang Audat, has stated that the country’s biofuels policy is aimed at reducing carbon emissions from fossil fuel resources like crude oil, anticipating that the use of biofuels will result in less greenhouse gas emissions and other pollutants common within conventional fossil fuels. The DoE wants oil companies to allow local farmers to farm biofuel products to blend into fuel in order to make it cleaner, he said, adding that the government was targeting 2% of the country’s fuel consumption needs. The South African Energy Minister, Jeff Radebe, has noted that the regulatory framework has three pillars; the first being the mandatory purchase of biofuels by petroleum manufacturers in accordance with the Mandatory Blending Regulation of Biofuels with Petrol and Diesel, which came into effect in October 2015. The second pillar is the Biofuels Feedstock Protocol, which will regulate and approve biofuels feedstock plans and that prioritises rain-fed crop production. The third pillar will publish standards for biofuels in transport fuel, as well as fuel specifications for blended fuel. The discussion around biofuels has been steadily gaining momentum, and we’ve seen the integration of exciting resources, such as the 2017 launch of South Africa’s first Bioenergy Atlas by the Department of Science and Technology, which has been welcomed by stakeholders as a critical resource in terms of moving the country towards a low-carbon economy. Aimed at assisting the government in its efforts to increase national energy resources, the Bioenergy Atlas indicates the potential of biomass as sources of alternative energy in the country, their geographical spread, and proximity to infrastructure and potential end users. The atlas guides biomass availability in the country, such as feedstock, organic waste, a mix of agricultural and forestry residue, and how this can be turned into alternative energy in the country. Biomass power is carbon-neutral electricity generated from renewable organic waste that would otherwise be dumped in landfills, openly burnt or left as fodder for forest fires. Certain areas in the country are better for this kind of energy generation and the atlas points this out. In provinces like the Eastern Cape, KwaZulu-Natal and Limpopo, thousands of people can benefit from job creation opportunities in the cultivation or harvesting sectors. The atlas was developed as a result of extensive research by the South African Environmental Observation Network (SAEON), which is funded by the Department of Science and Technology (DST). The Bioenergy Atlas indicated that the country’s potential in bioenergy was higher than initially thought. The Minister of Science and Technology, Naledi Pandor, said that the lack of capacity and limited access to data within different spheres of the government contributed to the delayed uptake of bioenergy in South Africa. The atlas and the portal provide policymakers with a way to address this and facilitates the local and provincial government’s plans to exploit bioenergy resource opportunities. The web-based tool, supplemented by online and printed reports, will also help to attract potential investors into the emerging bioenergy sector. Thomas Garner, the CEO of the independent power producer, Cennergi, hailed the Bioenergy Atlas as the next step in South Africa’s transformation to a low carbon, renewable energy future, together with the Wind Atlas, the Carbon Sinks Atlas and the Renewable Energy Toolkit to guide project development. Initial expectations for the biofuels industry in South Africa were based heavily on specific crops as feedstock but the main contenders, maize and jatropha, have been removed from the sector. Maize is banned as an energy source as it is a staple food. Jatropha, which was once a leading contender, is also banned because it leaves behind a toxic seedcake. Poisoning from jatropha has been reported in several countries. As soybean production has declined over the years, grain sorghum is the major sorghum crop grown in many countries, including South Africa. Sweet sorghum, a variant, has been recognised globally as a potential biofuel crop for ethanol production, and has been promoted heavily as the answer to sustainable biofuel creation. Unlike other bioenergy feedstocks, sweet sorghum produces food products and other valuable by-products (from its grain, stalks and leaves), thus eliminating the “food vs. fuel” issue, which is often raised by biofuel critics. Sweet sorghum can be used for food, fuel, fodder, fibre and fertiliser production. Sweet sorghum grows under the same conditions as grain sorghum and the substitution of crops or expansion of lands currently used for grain sorghum, to sweet sorghum, for ethanol production should be possible, enabling the goals of the strategy to be met. The BIS aims to develop a modest biofuels sector targeting under-used land in former homelands and should have a minimal impact on both food security and prices. According to reports, currently, 14% of arable land is under-utilised and is in areas, which lack the market access that biofuel plants can provide, and infrastructure, which agricultural and infrastructural support programmes should provide.